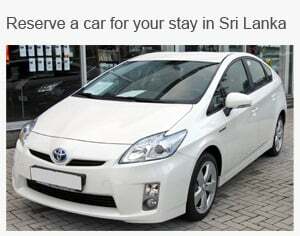 Rental Cars In Sri Lanka - A premier car rental reservation system from Kapruka. finding a reliable rental cars in Sri Lanka.  Reservations are made in real time. after you make the reservation. Can I change my reservation details? Yes. A free driver is included with all renal cars for the first 3 days. You may continue to use this driver throughout your rental and pay the rental company directly in Sri Lanka for the usage of the driver. We strongly suggest you use a driver atleast during the first few days of your rental until you get use to new traffic rules in Sri Lanka. Yes. Almost all our cars are automatic transmission. Manual transmission cars can also can be arranged on a special request. depending on the type of vehicle you choose. You should pay this deposit in any currency at the rental office when you pick up your vehicle. the order preview page and on the confirmation e-mails we send you. directions to the rental office once you make your reservation. Kapruka reservation confirmation e-mail when you come to pick up your vehicle. There is a 90Km per day limit. Which means if you rent for a week, you have 630 km. This limit is plenty for any average user. If you are running over that limit there will be an additional charge. Additional charge varies depending on the vehicle (Average is Rs 15 to 25 per Km). the pick up date. Cancellation fee is US$20.00.